PROCEDURE: 1) Mix all the marinade ingredients in a bowl. 2) Marinade the beef for 30 minutes to 1 hour. 3) Fry, in high heat and take out as soon as there are no pink parts on the meat. 4) Garnish with toasted sesame seeds. 1 In a frying pan over high heat, sauté onions in a little oil until fragrant add in bulgogi , rice and mix thoroughly. Set aside and keep warm. 2. In a bowl, beat together eggs and parsley. Season with salt and pepper. 3. In a large nonstick pan, make one omelet by pouring half of the beaten egg mixture and cooking over low to medium heat until eggs are three-fourths cooked, about 5 minutes. 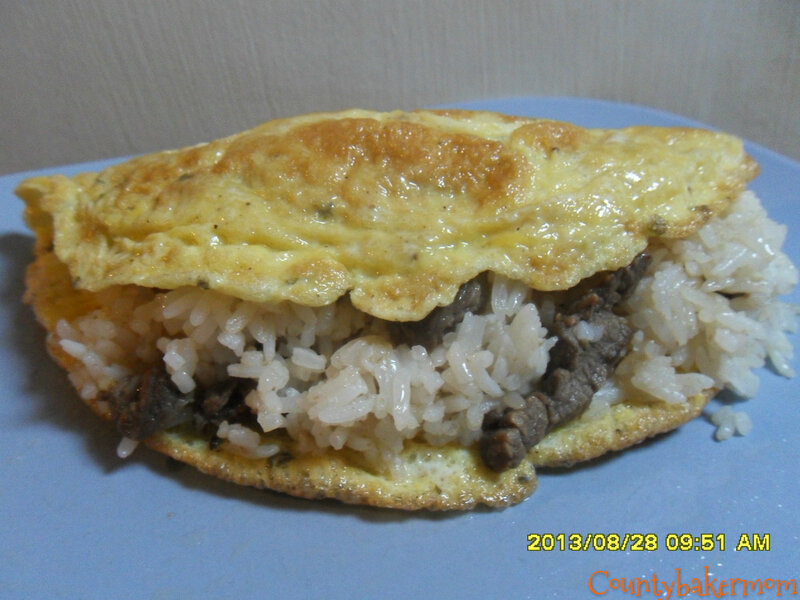 Once almost solid, place beef and rice mixture on half of the omelet. 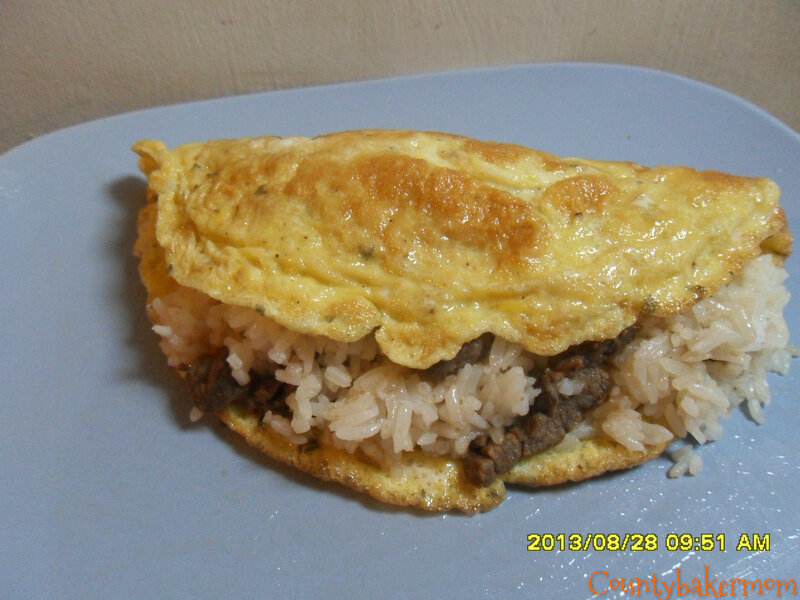 Fold the empty half over the rice. Repeat with the rest of the ingredients to make the second omelet. Score the fat of the pork chops to prevent from curling. Lightly salt and pepper the chops on both sides, then dredge in flour. Shake off any excess flour, dip in beaten egg. Next press the chops firmly into the breadcrumbs making sure that all surfaces are well coated. Place them on a sheet pan covered with parchment paper and refrigerate for an hour before using. 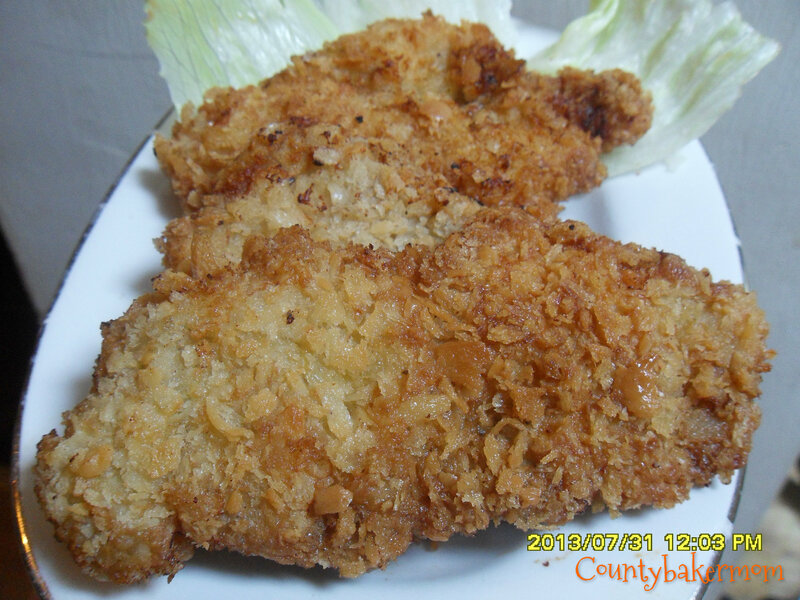 Deep-fry the porkchop in oil, turning once or twice until cooked through and golden brown, approximately 4-5 minutes. The coating should be quite crisp. Drain the excess oil in paper towel. 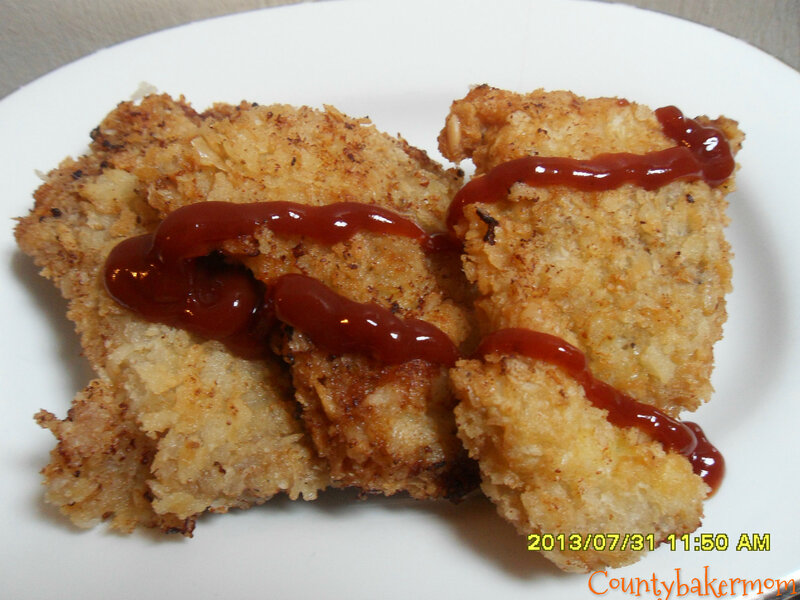 Serve Tonkatsu or barbecue sauce with fried pork cutlet. Serving Suggestion:Place shredded cabbage over half of a warm serving plate. Place the porkchop on top of the cabbage toward the center of the plate. Serve the sauce in a separate small dish for dipping. Garnish with lemon wedges.